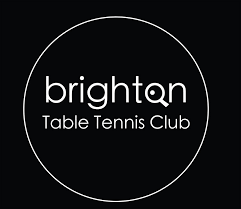 Working with refugees and migrants is at the centre of Brighton Table Tennis Club’s (BTTC) mission. It is the first sports club in the UK to be awarded Club of Sanctuary status for its work with 15 unaccompanied refugee minors during the last 18 months from Afghanistan, Eritrea, Iran, Iraq, Kurdistan and Vietnam. The award was made by Brighton and Hove’s Sanctuary on Sea organisation, which is part of the national-wide City of Sanctuary movement, of which there are seventy cities. Hoang Nguyen, who comes from Vietnam and is studying at one of the city’s sixth form colleges, is now a qualified coach and working with young refugees and other players. Another young refugee from Helmand is studying for his coach’s badge. Wherever possible, the club encourages its players, whatever their background, to gain their coaches’ badge and share their skills with other club members, the 260 City College students it works with every week and the many children it coaches in regular sessions in five secondary and eight primary schools in the city. BTTC also provides more than 30 tables in public spaces across the city, which are very popular. The club is opens seven days a week to players of all ages and abilities, and the tables are always occupied. For many young people, in particular, it is a safe and welcoming haven where they meet people of all ages from many different backgrounds. Everybody who joins the club is given a voice and encouraged to take part in the way the club is run. BTTC club recently received Table Tennis England’s annual Equality Award for its work with unaccompanied minors, looked after children and people with learning difficulties. It also runs women-only, LGBT friendly and over 50 sessions. The Grace Eyre Foundation, Special Olympics Brighton and Hove and Sports for All Sussex support the club’s work. It also works closely with Brighton and Hove City Council’s social services team, the city’s virtual school for looked-after children and local community and refugee groups. The club is deepening existing partnerships with groups like the Brighton Voices in Exile, the Sussex Syrian Community, Refugee Radio and the Migrant English Project. Table Tennis England’s Club of the Year 2015, BTTC has been chosen to host National Table Tennis Day in July where it will promote the need for other clubs to work with refugees and other marginalised groups. The Brighton Table Tennis Club is the winner of the Larger organisations category of the 2016 Community Integration Awards. If you want to find out more about the organisation and its work go here or check out their website here. Filed under Larger organisations doing their bit.